For hundreds of years, humans have been trying to create the perfect indoor retreat for themselves. In the last 40 years, many strides have been made to create a comfortable home while doing it more efficiently (saving money and the environment). This gave rise to many different window options to keep out the heat in the summer and keep the warmth inside during winter. Some of these options have a terrible impact on plant health and some have a minimal impact. Today we’re looking at the effect of Low-E on indoor plants. Plant enthusiasts know that many factors go into growing plants, that it is more than planting a seed or bulb and watering it randomly. To appropriately care for plants, consideration must be given to soil, fertilization, ventilation, humidity, temperature, water, and light. ‘Excesses or deficiencies of any one of these factors can prevent a plant from growing properly indoors” (University of Maryland: College of Agriculture & Natural Resources). Flashback to high school biology class (I know, I know, oh the memories!) and remember the topic of plants and chlorophyll and some other words that escape memory right now but most importantly, remember how plants need light to do their thing. Windows let in light but they can also play a huge part in whether it’s enough light or not. Our glass comes with Low-E coating. Low-E (low-emissivity) is a thin coating of transparent metallic material that’s applied to window glass for insulating purposes. Renewal by Andersen® windows from Mr. Rogers have 9 layers of metallic materials, like silver, applied in a micro-thin layer, followed by 2 layers of titanium dioxide to help make cleaning easier. 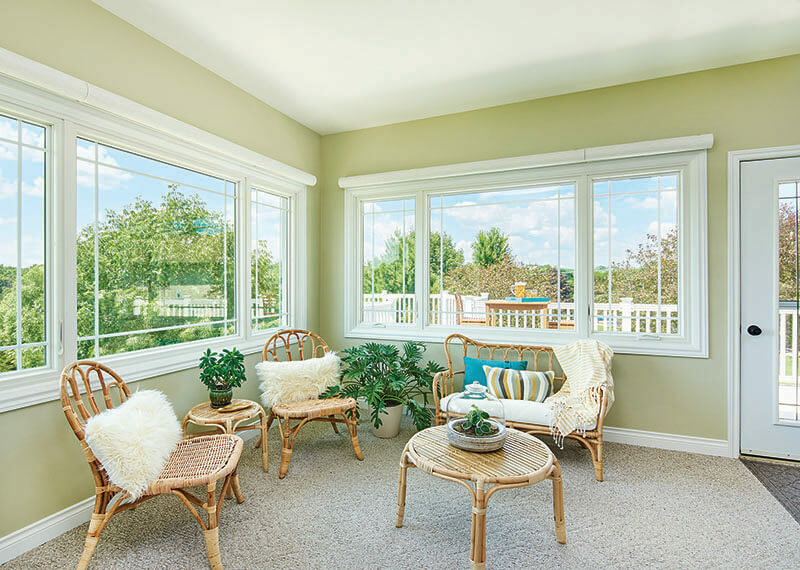 The Low-E coating helps to prevent heat gain (or loss) in your home by acting as a kind of reflective shield, pushing radiant heat that tries to pass through the glass back to the source it originates from. 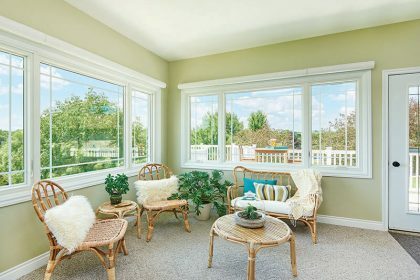 In the summer, the Low-E coating reflects the sun’s heat away from your home, helping to keep the indoors cool. When winter comes around, the metallic coating holds warm air inside your home, preventing your home’s high-priced heat from escaping out through the glass. You may be wondering if having so many layers of a metallic material will block too much of the sun and your plants will be harmed. The evidence suggests this is not the case. These layers are thinner than a strand of human hair. Also, the material used in Low-E doesn’t block red and blue light which is what plants use to stimulate leaf and stem growth, and also regulate plant enzymes and the respiratory process. The Low-E coating will also help regulate the temperature of your plants, causing them to not be burned by the sun during the day and keeping them warmer at night. 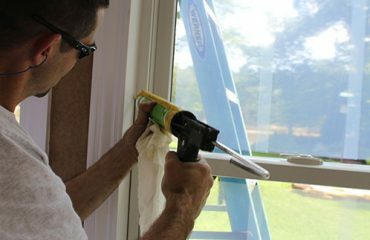 So feel free to install windows with Low-E coating in your home. If your plants are starting to show signs of distress from lack of sunlight, consider where they are located. For example, North facing windows (whether they have Low-E coating or not) are never good for plants that enjoy lots of sunlight.